It’s 18 months now since I personally began my #walk1000miles journey and I almost don't recognise the chap I've left now about 1700 miles behind me. My daily walk has turned back time on my gut and blown away any gloom I might have had building up on my middle-aged horizon. And it's been sheer joy to be part of a community so determined to make – and so adept at making – life better by walking about an hour a day. It doesn't sound like much of an investment and indeed it isn't, in the sense of back-breaking work and personal sacrifice. But it is an epic fertiliser for life. Just look at the endlessly rich crop of material you provide for the ever-growing newsletter and magazine, for which I'm so grateful. I hope you enjoy the results half as much as we did putting them together! and Lots of you are in it! Want to know a secret? How about a few dozen? Because the latest issue of Country Walking is stuffed with them. From secret doors in the Lake District through through which those really in the know disappear in high summer, to the coves, bays and beaches you stand a chance of having all to yourself, we're in the business of delivering you a magical summer on foot. We've even found a secret valley in the Peak District that Peak-loving deputy ed Nick (who thought he knew the place inside out) is still in raptures about. We've got a guide to walking each of Snowdon's eight satellites for incredible views the masses miss out on, a round up of the shortcuts and life-hacks that every walker should know, oh and just tons more stuff in an edition we LOVE! Plus there's our ace free 24-page supplement 'Better with a Dog' dedicated to walking with man's furry, foolhardy, emotionally incontinent best friend! Headphones on! Unbearable cuteness ahead in this month's best-of video! Lower or higher? Try our fun quiz – bet you struggle with no.10! Can you put these popular pairs of peaks in the proper pecking order? It’s not a race – except in the sense you're competing against the Old You – and every milestone’s worth celebrating, but it’s exciting to hear from people who (often to their own surprise) find themselves crossing their 1000-mile finish line with tons of time in hand. Here are a handful of heroes in their own homes! Great, a real achievement. I was surprised I managed to get the last mile in somewhere really lovely and not just walking to the kitchen like my other half did. What’s the best thing that’s happened? I’ve saved loads of money on petrol, I've only driven to work once since January and I used to drive daily. The walk home also helps to de-stress and make me feel happier. Make the most of a good day and take the longer, less explored route home. Absoutely amazing, I thought it would take me all year as I was never one for walking, but this challenge has changed my life in more ways than one. What’s the best thing to have happened? I've gone from not being able to walk without crutches since damaging my knee and having to give up my chosen profession, to being able to walk without crutches and to go back into the profession I love. And my confidence has gone from rock bottom to sky high: this challenge is amazing! What’s the best thing for you about taking part? Friendships from across the pond is the very best surprise. A love of photography, the birds singing everytime I go outdoors and the bantering in the group. Besides jumping up and down whooping to my husband and friends, I went to a celebration dinner at our favorite Mexican restaurant with a clink of our Margarita glasss or two. With a stranger I met at start of my walk up Ben Nevis called Phillip. We reached top together and and reached the bottom together – each pushing the other on. Losing a lot of weight, having much more energy and being able to actually relax and enjoy the peace and quiet of the Countryside. Being able to buy a complete new wardrobe of clothes that even my 17 year old daughter wants to wear and the confidence that i have discovered. I'm a completely different person! Give it a go, you won't know until you try and start slowly and build up. I started on a mile a day and I can now easily do 25. I never thought I'd be able to do that! • Are you a completer too? We’d love to fill in a quick Q&A! They’re questions many of us ask ourselves at various points in our lives, and particularly when we’re taking on a new challenge. Thankfully one of the things we know about walking is very good at is making ourselves more accepting of ourselves. 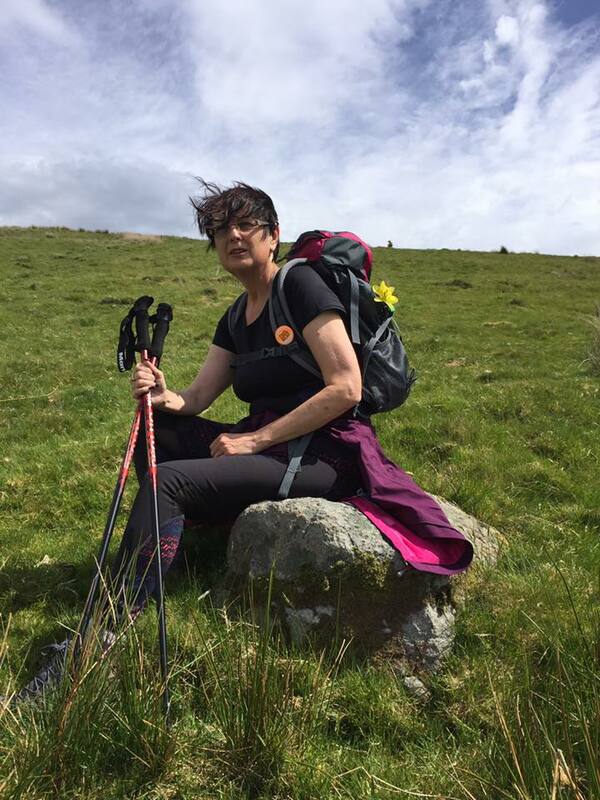 But here at CW we’re horrified by the thought that anyone at the fringes of or perhaps outside #walk500miles & #walk1000miles, or the world of walking generally, might feel in some way unqualified for or unequal to the challenge. So we did a survey, which so far over 450 of you have anonymously and therefore presumably honestly filled in and which if you haven’t you still can, to find out a bit more about us as a group, and to see how it matches up to the imagined ‘normal’ that might be skulking unhelpfully in the back of some people’s minds. Do you consider yourself a really fit person? Which goes to show while it will SOUND like you're a superhuman doing this challenge you DON'T have to feel like one to start with. Where is most of your walking done? Which means – if reassure were needed – we love to hear about your walks WHEREVER they are, and while we love the glamorous National Park pics by far the majority of miles racked up are through the fields and along the pavements near home. And you know what? Every mile’s as good as another. Which, with over two-thirds answering yes, goes to show depression IS normal, it makes no sense to feel isolated by and that many more people than you think probably know how it feels. It probably also confirms what I’m sure many of us have or are beginning to realise: that nothing drives off the deceiptful demon depression like walking. Are you completely happy with your body? Which goes to show we should probably stop singling ourselves out for punishment by absenting ourselves from photographs and casting reproachful looks toward the mirror – when four-fifths of us feel the same. There will be more results from this fascinating survey in the September issue of Country Walking. One of the many heartening tales from the challenge we wanted to share with as many of you as possible, but it’s got a twist in the tail! What’s your story Sarah and what made you sign up? 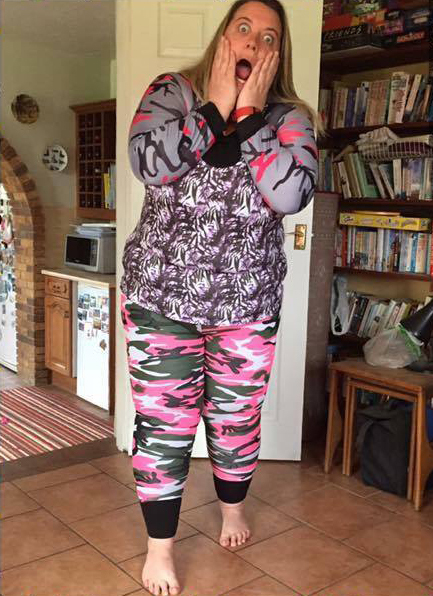 When I joined slimming world I nearly broke the scales! I I've always been a big girl but when I hit my teens it changed from being just big to being fat... I let myself get bigger and bigger and just kept ignoring it. It got to the point that however old I was that's what I weighed (well within a little). I tried Weight Watchers, had help from my GP and Slimming World but I would get so far and then give up. I was unable to complete the most basic of tasks like shopping, without being out of breath or my back killing me. I was so unhappy but it was just who I was and I made up for it by wearing a well-tested mask which most people couldn'tsee through. I became so reliant on the mask that they thought of losing weight and having to find out who I really was was daunting! Who am I? Then I started walking, and when I saw the #walk1000miles challenge I wanted to prove to myself I could do that. Now I'm at 610 miles, nearly 8 and a half stone lighter and my life has changed. I feel amazing! How does it feel to be nominated as one of the most inspiring members of the #walk1000miles Facebook group? Very humbling! I love the group, it's so friendly and supportive no matter where you are in your mileage everyone is rooting for you. What's some thing you’re looking forward to now? Buying a new wardrobe! I'm putting £1 in a pot per mile, so when I get to my weight target I'll have enough to have a lovely shopping weekend away with my mum. How do the the walking and non-walking parts of your life affect each other? Doing my walking has definitely lifted my spirits, it gives me time to sort my brain out after my stressful shifts – especially night shifts! (I'm a dispatcher for the East of England Ambulance Service). When I started walking I did it just for the exercise, now I find I just enjoy it for itself. You'd have a job stopping me now! AHEAD OF THE CURVE? DOWNLOAD & PRINT YOUR CERTIFICATE OF COMPLETION! Psst! Want to buy a #walk1000miles sports cap? Lisa Cadwallader spotted this beaut on the Wrekin. Carole Rodgers' walking partner couldn't bring himself to look at this abomination on Rothiemurchus estate. Kaz Benders was offered a hop, skip and a jump into the brambles by this one. Sally Hitchings spotted a number of flaws with this stile in Boston park South Yorkshire. 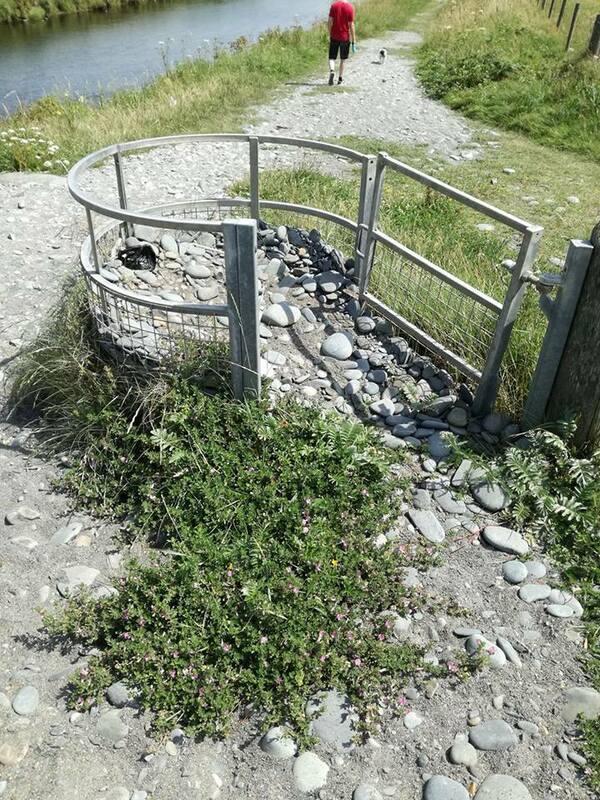 Tellulah Delores came across this rarer treasure at Trefechan beach – a gate not only pointless but blocked by rocks from a storm. Russell Lomas laments the fact his dog still walked up to it at first and waited for this to be opened for him. Where would the Ribble Way be without this wondered Sarah Swindells. 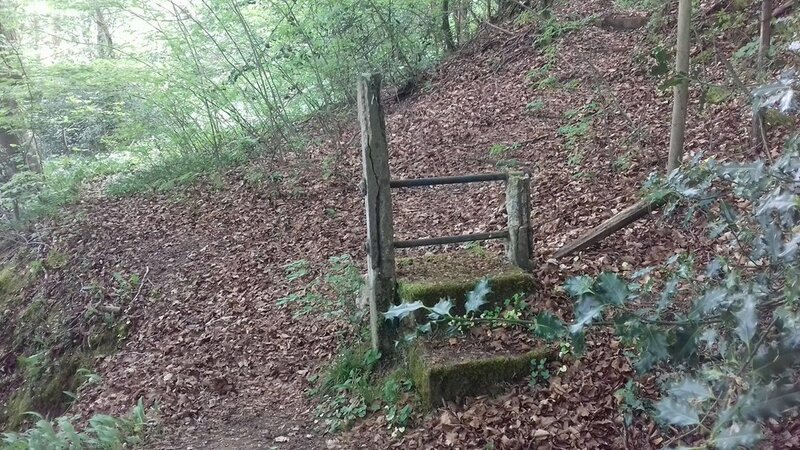 Beth Costin spotted a stile in its dying moments at Ogden water. Textbook pointlessness from Rebecca Burton. Andrew Shone was delighted with this relic near the smallest city in Britain, St Davids. Excellent grippy surface on this redundant stile spotted by Geina Morgan‎. Mandy Harrison shot this wistful stile just outside Morwenstow on the coast path, as it dreamed of boot-treads passed. Hi ho! It's off to nowhere we go! Well played Sally Smith on the Roman Fort Walk near Hope. Sara-Jane Davies‎ walked from Westoning to Pulloxhill without any assistance from this gate. Good job that gate's there, Karen Porter. Bonus points for texting teen. Hazel Kerrison found this pointless perch near Rosedale on the Yorkshire moors, and had a wally on hand to demonstrate. Angela Barnes‎ rejoiced in this gate whose moment in command had long-since passed. Not much longer for this one spotted by Ruth Harland in Dalston, Cumbria. Nice and new, totally needless, by Wendy Chidgey. Michelle Neighbour spotted this high-falutin' gate arrangement utterly ignored by the path at Horrocks Wood & nature trail. 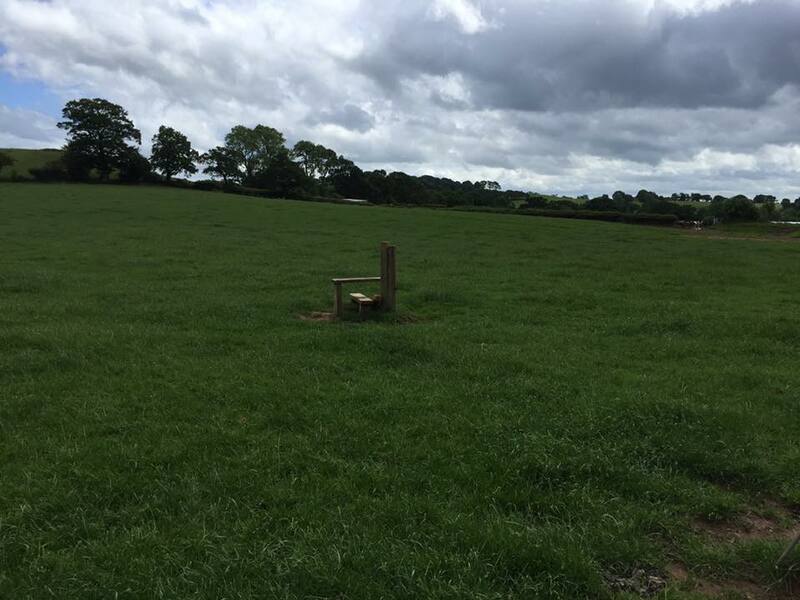 Nigel Riley wondered when the last time this stile felt the touch of feet was. 'Please close the gate' read the sign. Imagine what might happen if you didn't, wondered Gillian Nicholl. Sue Mulley spotted this gate doing a passable impression of an abandoned Ifor Williams trailer. Nikki Payne appreciated the effort of this gate to keep out of walkers' way. Well, it looks pretty at least, thought Joanne Burr. Claire Lloyd, relishing the redundancy. This one was almost poignantly isolated (again by Claire Lloyd). If you go down to the woods today, you're sure of a pointless style, says Joanne Davies. Splendidly sure of itself, but this pointless orifice wasn't fooling Jodie Trembles. Pointless stiles: the poor landowner's folly. By Sarah Jones. Two nice gates there, doing nowt, observed Linda Blackwell. And is this where the craze goes next? 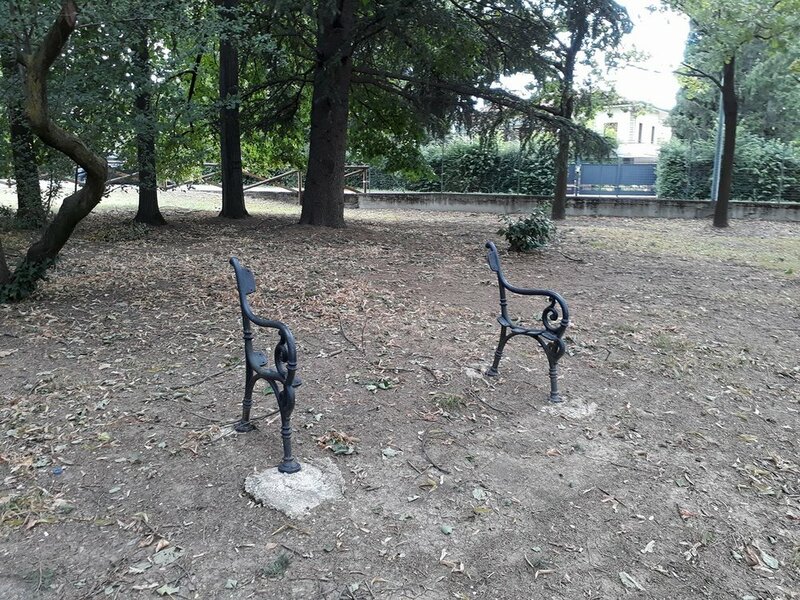 A thought-provoking bench. 10 It's not like Helen hasn't given the national park enough notice of this badger invasion! 9 Night-owl Mickie has a nest-mate! 8 Excellent felt-tip fireworks at half way Miriram! 5 Jacine had some agency work today being a companion for a lady with severe depression and anxiety. It went well. 1 Now that, as Jay so rightly said, was a sunset. Also, he has news. Treat yourself – you've earned it! Tracey Crampton from Kent! Well done Tracey, your booty will be on its way shortly! What do you call a dog who can do magic tricks?